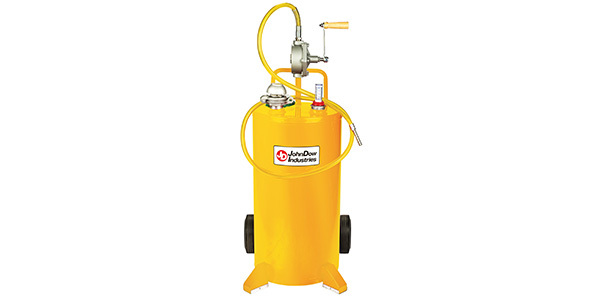 To meet the needs of the different fuels being used in today’s vehicles and equipment, JohnDow Industries has continued to expand its Fuel Handling line. The new 25 Gallon U.L. Listed Steel Diesel Caddy is designed for the professional automotive service, agricultural, heavy-duty and construction markets. It is tested and approved to U.L. requirements for leakage, rupture, stability, abuse and endurance. 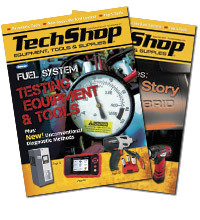 In addition, the new Diesel Caddy for use with diesel and bio-diesel fuels, meets OSHA approved standards with safety the number-one priority. The Diesel Caddy (FC-25DC) features a 25-gallon capacity 14-gauge steel tank with heavy-duty 10 in. steel wheels, a fill level gauge and a wide footprint for stability. The UL Listed heavy-duty cast iron rotary pump with carbon vanes and Viton seals offers a two-way operation for siphoning or dispensing diesel fuel. One gallon is delivered for every 12 revolutions on the pump handle. The cart-style is compact and very easy to move.